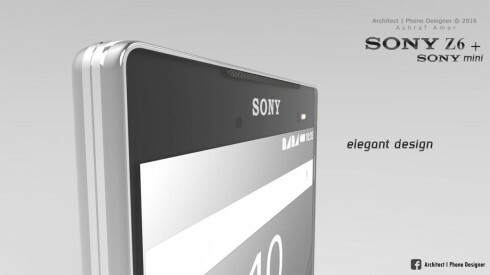 Designer Ashraf Amer has created the Sony Xperia Z6 concept and while the real thing doesn’t seem any inch closer to an announcement or leak, at least we have renders of it available. 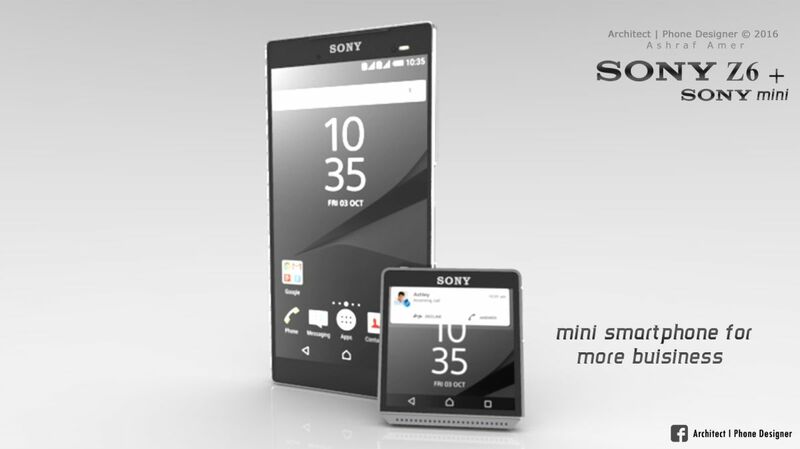 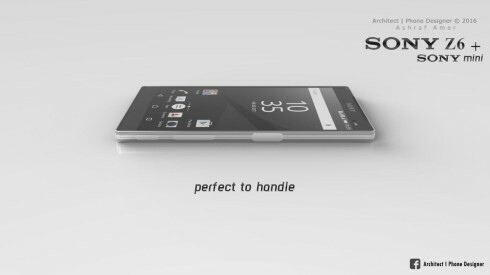 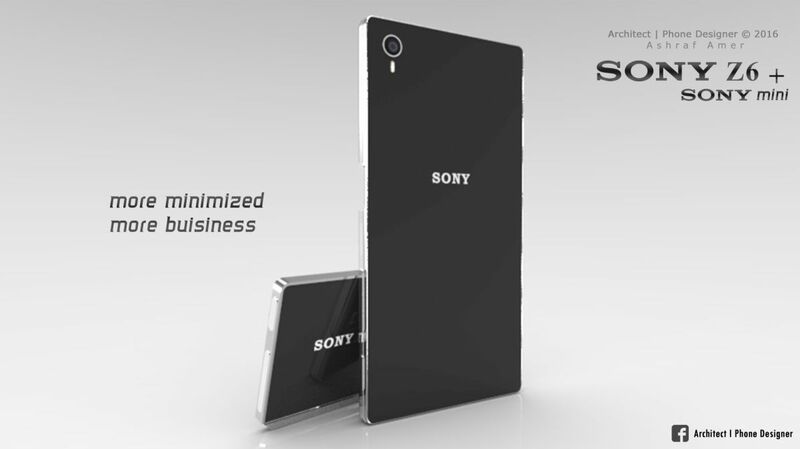 Accompanying the phone is so called Xperia Mini, that feels a bit like a pager or maybe those compact HTC watch concepts. 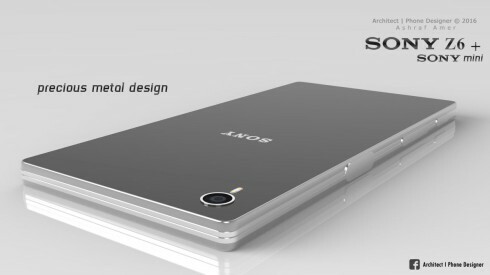 Sony Xperia Z6, or as the designer calls it Sony Z6 has 3D Touch technology, a waterproof case, fingerprint scanner and fast charging. It also brings a 5.5 inch IPS LCD 4K display, a 24 megapixel main camera and a front 12 MP shooter. 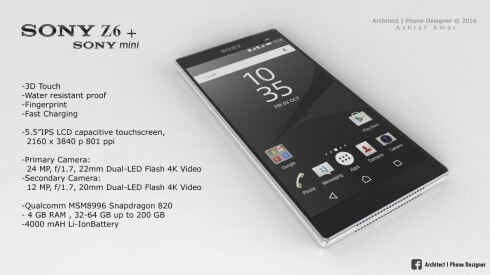 Inside there’s the Snapdragon 820 CPU, 4 GB of RAM and 32 or 64 GB of storage, plus a 4000 mAh battery. A quick look at the bottom of the phone reveals a bit set of speakers and no microUSB port. 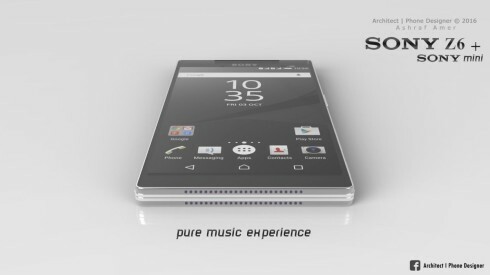 That may be present on the side, like the older Xperias, possibly covered by lids, for waterproofing purposes. 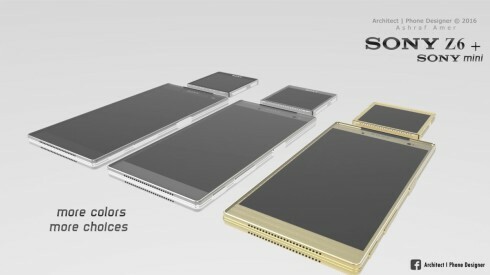 Unlike other Xperias, this model uses a metal design and the back also seems to be made of metal. 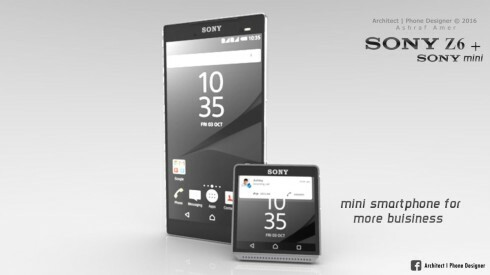 Xperia Mini feels a bit too small and wide for my taste, but some people may dig its format.